The Mi’kmaq and Maliseet lived off the land, the rivers and the sea. Consequently, the clothes they wore reflected this life style in the fabric they used, methods of decorating it, and in the designs before the Europeans arrived. However, soon after Europeans began living in Atlantic Canada, Eastern Québec and Maine, the Mi’kmaq and Maliseet way of life experienced many changes as did their clothing. By the late 19th century they commonly wore clothing similar to other Canadians while preserving variations on their traditional clothing styles and designs for native ceremonies. 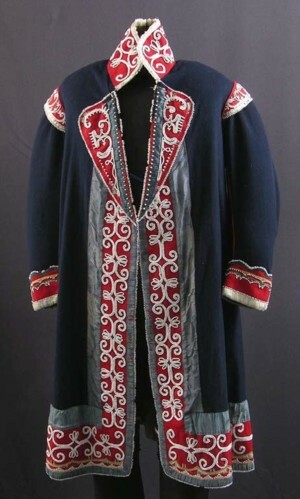 Today one still sees elements of 16th century designs on clothing worn at native ceremonies. This presentation will show the evolution in clothing style and decoration from the initial contact with Europeans in the 16th century to the present. 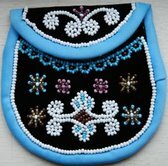 There will also be a focus on the unique designs that distinguish the Mi’kmaq from the Maliseet culture. Plastic has a multitude of functions in our society. Similarly, the Wabanaki peoples had more than 150 uses for birch bark in their daily lives. It was particularly well suited to their nomadic life style since it was found everywhere, and being very light, could easily be carried with them. Such a useful natural product did not escape the notice of the early European inhabitants who quickly adopted some of the Wabanki uses of birch bark. 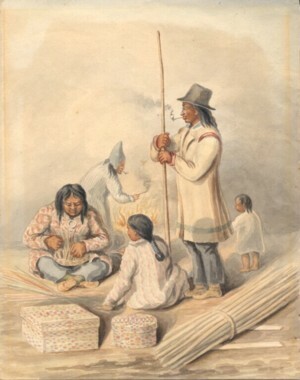 In addition, the Wabanaki early on exploited the economic potential of selling an array of functional birch bark objects to settlers, especially decorative bark objects. This presentation will discuss the prehistoric uses of birch bark and the types of decorative objects sold first to 16th and 17th century Europeans and later to Canadians. Today a few Passamaquoddy and Maliseet artists are selling both traditional and modern bark objects. In addition to the power point presentation, samples of both traditional and contemporary bark work can be displayed during the presentation if secure display cases are available. Soon after European settlement in North Eastern North America, it became evident to the native populations that the European method of basket making was wasteful and would cause the rapid depletion of certain trees. They knew such an ecological disaster would endanger the lives of animals and plants that depended on the trees. 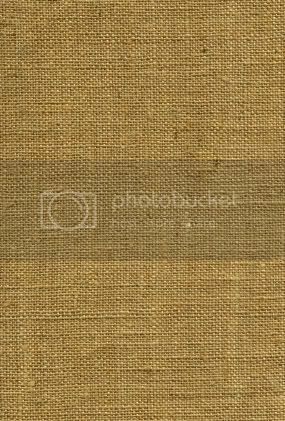 Although the Wabanaki were known to have woven reed, rush, and cedar bark in prehistoric times, they adapted this weaving skill in combination with their knowledge of splint wood preparation to produce a large variety of practical and decorative ash and maple baskets for sale to Europeans. Their baskets required fewer trees in the preparation and were so sturdy that they could be used for several generations while European baskets rarely lasted more than a year or two. This power point presentation will explain how this was possible and show the differences between Mi’kmaq and Maliseet / Passamaquoddy wood preparation and the tools used in both splint preparation and weaving. If secure cases are available examples of a few tools and baskets can be displayed during the presentation. One of the most fascinating aspects of Mi’kmaq and Maliseet / Passamaquoddy basketry is the endless variety of form and design that they have created using only 4 construction elements. This presentation will show some of the diversity in form and design that have evolved from the 18th century to the present and explain some of the major social, cultural and economic pressures that stimulated these innovations. 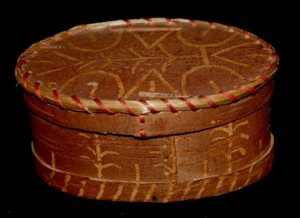 Because the Mi’kmaq cultural perspective is distinctive from that of the Maliseet, each culture responded differently to these pressures as can be observed in the unique construction and designs of their baskets. 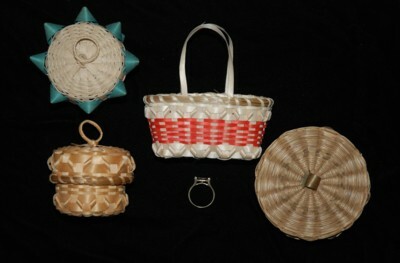 If a secure display case is available I could bring some historic and contemporary baskets to the presentation. Art has always been an integral part of native culture. Before the 16th century they decorated their personal objects using what nature provided in a creative expression of their spiritual values. As early as the 16th century, European fishermen were impressed with the beauty of the objects they made and traded metal objects for them. Eventually, the Mi'kmaq and Maliseet discovered their decorative objects helped them acquire money to purchase what they needed as their way of life was altered by the growing number of settlers in the Province. As the centuries passed they learned to adapt their art to the needs and wants of the consumers while maintaining some of the traditional materials and designs. This presentation will trace the materials and designs used on objects from the 17th century to the present. If a secure display case is available then some art objects could be displayed during the power point presentation. For about two generations between1880 and 1930, the Abenaki at Odanak were the only basket makers who actually earned a handsome profit making baskets year round. 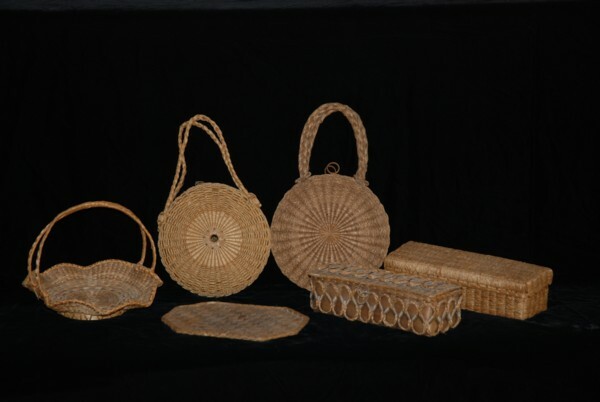 They were great basket makers both in creating original art designs and exquisite construction. Yet, their baskets were not superior to those made by other Wabanaki artists of the period. 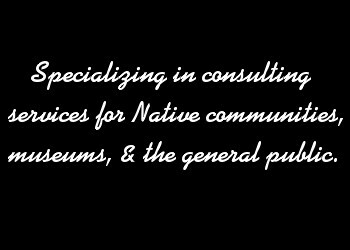 This presentation will explain how they accomplished their business success and why the most famous basket making Abenaki families stopped so abruptly soon after 1930. The power point presentation will show examples of the fine baskets they produced as well as show the unique Abenaki wood preparation techniques, basket tools, construction, and design elements that set them apart from the other Wabanaki basket makers.